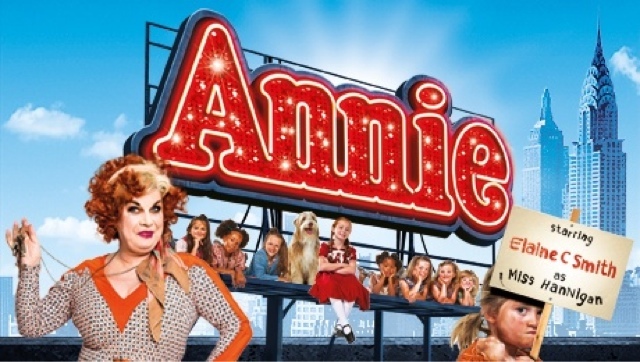 Thomas Meechan’s Annie is a fundamental icon when it comes to classic musical theatre. As the Matilda of its era, it encompasses a narrative that never fails to please, intertwined with some of the most famous show tunes in theatrical history. Why then would you try to modernise such a classic? Annie is not Matilda. End of. Both are iconic young female characters from two very different periods of musical theatre. So why has well-respected Director Nikolai Foster tried to make the eminent red headed orphan into a production that merely comes across as a second rate Matilda? A bold statement, perhaps, but for me, the 2016 tour of Annie proves too alternative and somewhat unorthodox for such a well-loved childhood musical. As the old saying goes: if it’s not broke, don’t fix it. Initial disappointment aside, a real high point in the current revival is Nick Winston’s vibrant and dynamic choreography, executed superbly by a small but perfectly formed ensemble of performers – both adult and child alike. In this respect it would be unjust not to commend the young actors in Team Tiffany who played their retrospective orphaned personalities with a dedicated poise and panache throughout the course of the production. Their chemistry, energy and enthusiasm brought celebrated numbers such as Hard Knock Life and Never Fully Dressed to life with true professionalism and gusto. Both of which proved a real highlight. It was a shame, therefore, that Scottish actress, Elaine C Smith as the wicked, drunk and comedic Miss Hannigan, did not match her younger counterparts. Smith struggled in her portrayal as the orphanage owner, missing obvious moments of humour, dance steps and energy. Vocally, she is more than adequate however her uncertain and somewhat lethargic characterisation did have a tendency to drag down some of the key scenes within the show. A shame, as the success of Annie as a production does indeed rely on the comedic portrayal of Miss Hannigan, thanks to Carol Burnett’s iconic interpretation in the 1982 film adaption. That said, there were some indisputable stand out performances from other principal players. Huge credit must go to Alex Bourne who gave an emotional and convincing performance as Oliver Warbucks. Bourne was instantly believable as the bald billionaire and his chemistry with the young red head was both endearing and infectious throughout. Of course, you cannot write a review on Annie without mentioning the juvenile lead herself, and youngster Madeline Haynes more than held her own in the production. Vocally, Haynes is a power-house in the making, however, her acting often proved a little exaggerated at points. This was evidently a directorial decision, but unfortunately resulted in a lack of innocence and naturalism in the young performer’s representation. It’s not the Annie you know and love but the illustrious music, striking choreography and charming ensemble energy are a testament to the kind of show it should have been. Annie runs until Saturday 21st May at the Edinburgh Playhouse Theatre, Greenside Place.